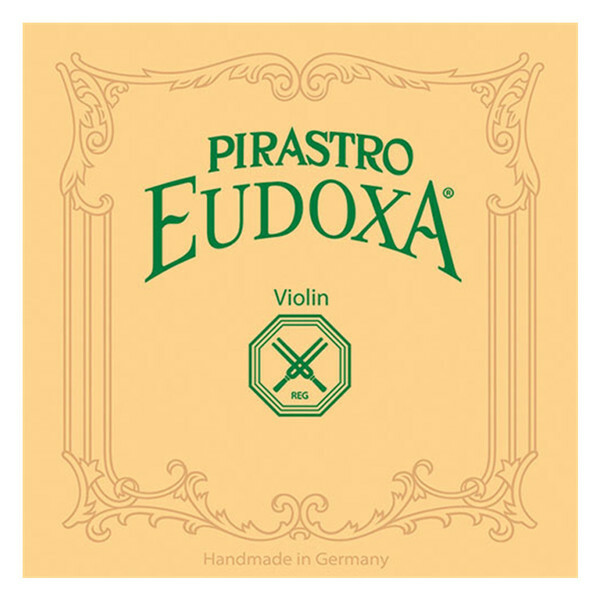 The Pirastro Eudoxa Violin String Set offers musicians a traditional sound with comfortable playability. The A, D and G strings feature gut cores that produces a warm, clear sound full of texture. These strings have a naturally low tension which provides left hand comfort, as well as making them more versatile. The E string has a steel core for an immediate response that?s ideal for soloists. The aluminium and silver windings give each string a comfortable feel, as well as supporting the response. These strings are designed for full size violins. The E and A strings have ball ends, whilst the D and G strings have knot ends. The Eudoxa string series offers musicians and intricate sound with comfortable playability. These strings are made from a hand wound and polished sheep gut core for the most traditional, authentic sound. The tone produced is balanced and warm, whilst the naturally low string tension offers a lot of versatility. Whether you're in an orchestra or playing as a soloist, these strings will be suitable for the task in hand. These strings are ideal for musicians who play their instrument for extended periods of time.